This 3 part series describes how industries can prepare to properly handle an incident in order to avert a crisis. It describes how to set up and implement an Incident Command System that will work effectively with public safety organizations. Incident Management: This program reviews the different levels of incidents and describes the likely impact on public health, safety and the environment. It outlines the concepts and components of the National Incident Management System, stressing the key organizational system provided by ICS. 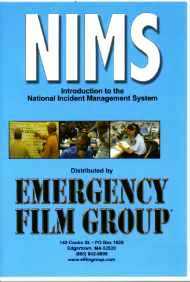 Among the key features examined in this program are NIMS concepts & components, Span of control, Resource management and Communications. The Response Organization: This program examines the Incident Command System and the roles and responsibilities of the key players. It covers how incident command is established, transfer of command, unified command, how the incident command post functions, the role of the Incident Commander, the command staff, the general staff, basic strategies used to deal with an incident. The EOC & Crisis Management: This program reviews what happens when an incident becomes a crisis. It stresses the need for a crisis management plan to support on scene emergency response activities, to get outside resources to help control the situation, and to manage the crisis. This program covers: The Role of the Emergency Manager, Setting up the Emergency Operations Center, Communications, How the Crisis Management Team operates, The role of the Public Information Officer, Managing the media, Media briefings and Incident termination & recovery. 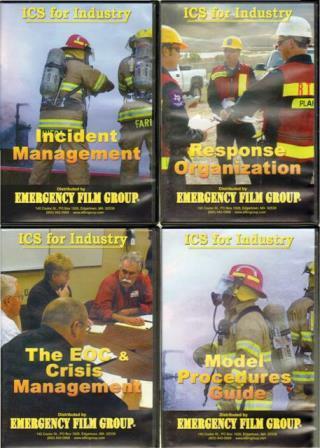 ICS for Industry Model Procedures Resource CD-Rom: Designed to accompany DVD series. Includes four PowerPoints, post-seminar quiz on both PowerPoint and MS Word, ICS job action sheets & forms. After taking the training provided by the course of instruction suggested, the student should be able to identify the benefits of using ICS, describe the key concepts and principles underlying the National Incident Management System, and describe the basic features of ICS. 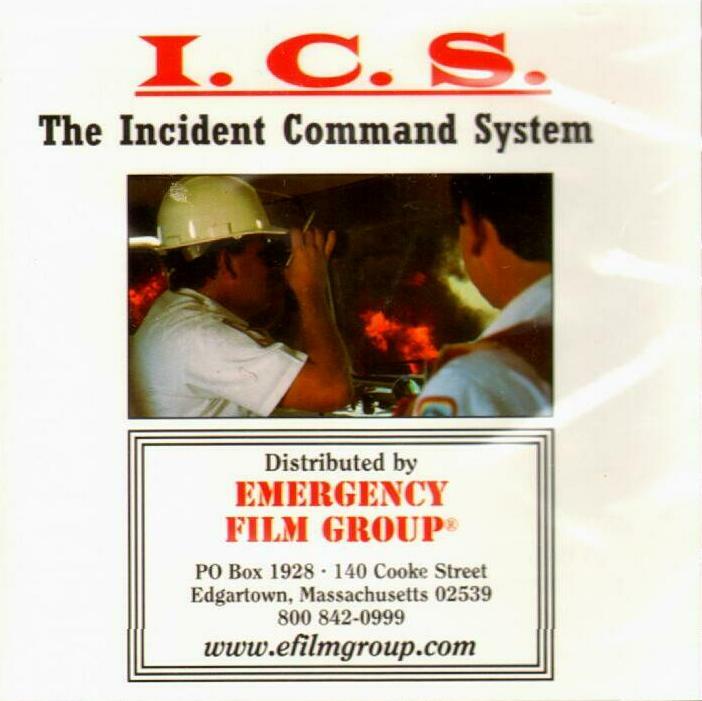 The student will be able to describe the roles and functions of the Incident Commander, the Command Staff and the four principle sections under ICS. The student will also be able to describe the elements of a crisis management plan and understand the role of the Emergency Operations Center.